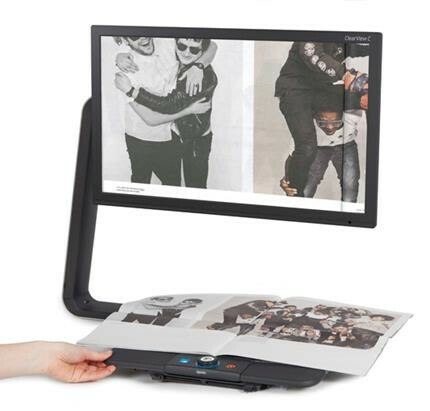 The Optelec Clearview C+ Speech With 24″ Monitor is a video magnifier with both high definition and speech. It not only gives you the video magnifier you need but with a tap of a finger it will capture the image and start reading the printed text to you within a few seconds. 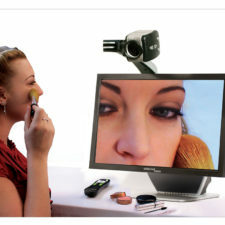 Individuals who struggle with small print, numbers or the details on an object will benefit from video magnification. 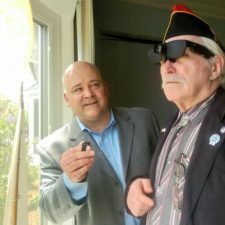 You can go from viewing your newspaper to having it read to you in a few short moments. The high definition camera provides the clarity and quality to appreciate the detail in a way you couldn’t imagine. 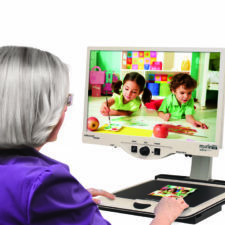 Clearview C+ Speech With 24″ Monitor lets you adjust your range of magnification, color options and contrast to maximize your viewing experience. 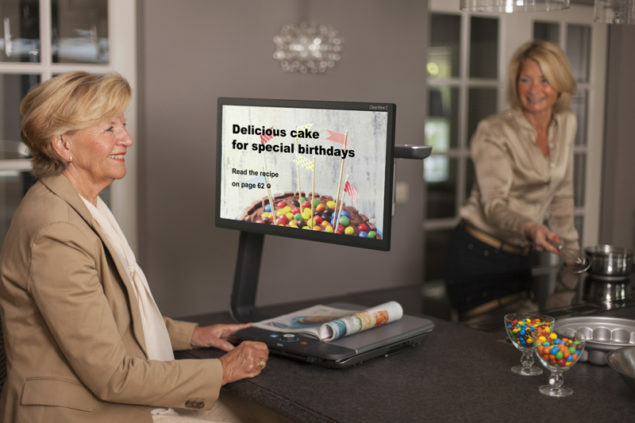 The Clearview C+ Speech With 24″ Monitor starts with a 1.5x and will go up to 75x in magnification. Advanced feature buttons allow you to customize to your needs. Some of the advanced features are; brightness, power saving, lines and masking, and color schemes to name a few. Once the speech is activated there is a menu system that allows you to personalize the listening experience. The sleek design of the C shaped arm gives the contemporary look the ability to fit at home or work. 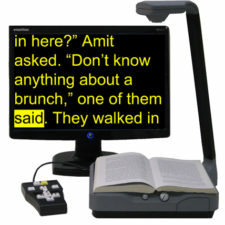 Having an ClearView C+ Speech With 24″ Monitor video magnifier will provide you with a sense of independence again. Confidently read your mail, appointment cards, checkbook or listen to the latest novel. 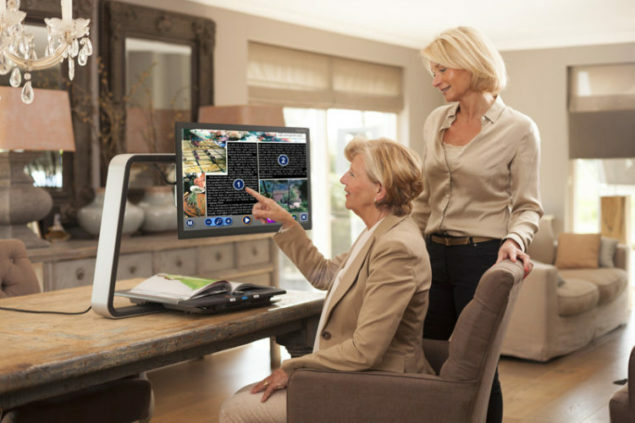 Create more freedom in your life by using the Clearview C+ Speech With 24″ Monitor.